The Institute of Social Anthropology teaches social anthropology in its full diversity. 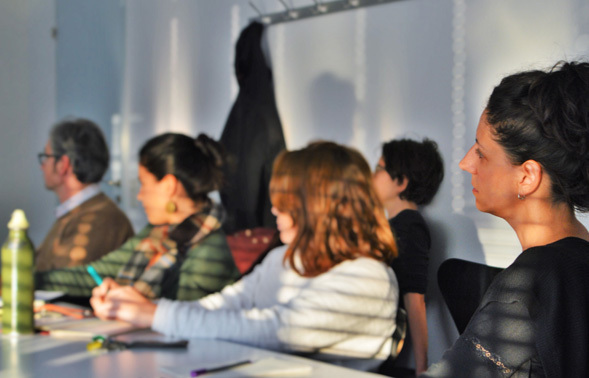 Key areas of research at our institute include (but are not limited to): migration, anthropology of the state, economic and ecological anthropology as well as media anthropology. Our different degree programs – one bachelor and three master’s programs which include the specialised master’s program Anthropology of Transnationalism and the State (ATS) and CREOLE – provide students with a thorough grounding in anthropological theory and methodology. Furthermore, they offer vast possibilities for specialisation. The Institute of Social Anthropology also participates in several postgraduate programs for doctoral and post-doctoral researchers. Everybody who is interested is welcome! Attention: For Master students the visit of the debriefing is obligatory. New attendance lists can be downloaded and are available in the colloquium! For her dissertation: "Fragile Truths. The Ethical Labour of Doing Trans-/National Surrogacy in Russia", Veronika Siegl received the prize for the best dissertation of the academic year 2017/18 on the occasion of the PhD ceremony of the Faculty of Humanities. She will also be honoured by the Rector on the occasion of the Dies academicus on 1 December 2018. Hope. Flight to Europe, surrogate motherhood in Russia, organ donation in Germany: wishes and hopes from an artistic, scientific and literary viewpoint. It is possible to build institutions for the management of natural resources through legitimate bottom-up participatory processes – if the concept of constitutionality is applied. This conclusion emerges from a series of research articles that has its origins in a collaboration between the University of Bern’s Institute of Social Anthropology, CDE, and Institute of Geography. The articles were published in a special issue of Human Ecology on the links between societal structures, power relations, and participation – a hotly debated topic in the field of sustainability governance.